In 1972 Ruben E. Smith and Ronald H. Kinzinger formed a union commercial construction company to build pre-engineered metal buildings in the Kankakee Area. On December 11, 1975 the company incorporated as Ruben E. Smith Construction and R& R, Inc. Today, the company is commonly known as R&R, Inc.
Ruben and Ron were partners until 2012, when Ruben's share of the corporation was assumed by his son, Bradford E. Smith. Prior to becoming a principal in the company, Brad was a union carpenter responsible for the day to day field operations. Today R&R Inc. is a general contractor hiring skilled union tradesmen and women. The company self-performs all its work (except electrical, mechanical and specialty trade items.) R&R Inc. offers single source responsibility for the entire construction project. Our focus on employee longevity and owning our own equipment directly contributes to being very responsive to our customers' needs. Ruben E. Smith Construction/ R&R Inc. began with pre-engineered metal building construction, and today it also includes site utilities installation and repairs, concrete sidewalks, curbs, and concrete foundations and floors. Additionally, R&R Inc. has been involved in land development in local subdivisions such as Turnberry Subdivision, Meadowbrook Subdivision, Prairiewalk Subdivision, and Hunter's Run Subdivision. 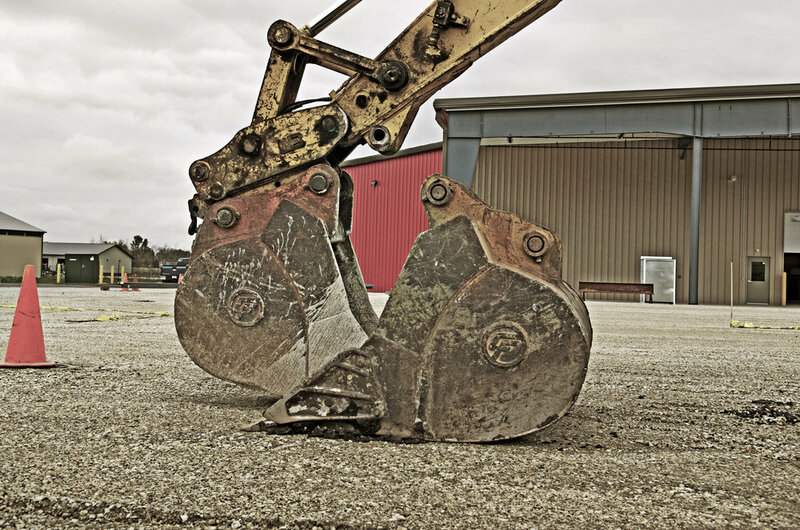 We are a local Kankakee County construction company performing work for the local municipalities, corporate and private industrial and commercial companies within a 40 mile radius. R & R Inc. has been serving the local area since 1972. System for Award Management formerly known as "Central Contractor Registration"
Copyright Ruben E. Smith Const. and R&R, Inc. All rights reserved.